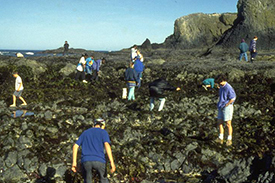 Oregon coast tide pools are filled with beautifully unique animals showing off many colors, shapes and sizes. The best time to go tide pooling is one to two hours before the low tide. That gives you plenty of time to explore before the tide starts coming back in. 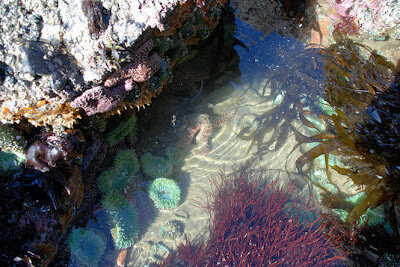 All these tide pools are close to Sandlake Country Inn or an easy day trip. 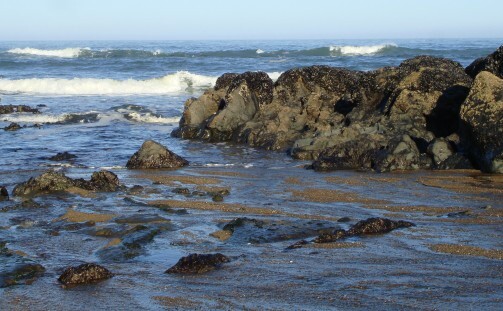 Tide pooling can be very dangerous, especially in areas that you are not familiar with. Have a great time, enjoy nature, but always be aware of your surroundings. The Oregon coast beaches can be dangerous, especially in the winter. Be very aware of the tides, sneeker waves can be deadly. NEVER keep your back to the surf and don't play on the logs. If a sneaker wave comes, it will pick that log up like a toothpick and can land on you. 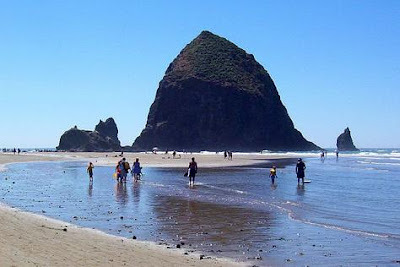 Seaside Beach - The Cove (south end): Explore around the large rocks at low tide, but BE CAREFUL, this area is known for sneaker waves. Oceanside: Head north and go through the tunnel to find the secret beach on the other side. Viewable on extreme negative tides. Cape Lookout State Park: If you walk from the park south to the base of the cape there are tide pools all along the base of the cape. Explore this area only when there are calm conditions. 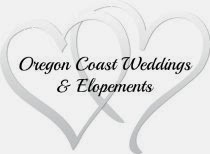 More about Cape Lookout State Park. Pacific City: At the base of Cape Kiwanda, there is a small area of great tide pools when conditions are calm and there are negative tides. Lincoln City: Long stretches of sandy beaches make tide pools scarce in this area but you can find some at the ramp of NW 15th St. where there are some rocky areas.